Please note that all written material on this site is under copyright and not to be used without permission of author. Thank you. 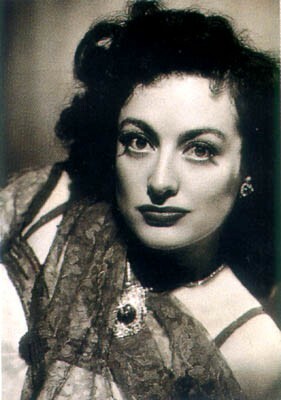 This page is dedicated to the films of my favorite actress, Joan Crawford. 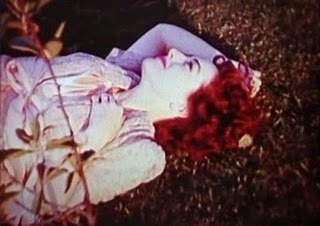 Crawford is one of the most fascinating stars of the golden age of Hollywood and has few peers. No actress projected as much raw emotion and gave so much of herself to every role, her charisma such that she was a force whether playing sinner or saint. With a career spanning fifty years from the silents onwards, she had many personas and looks from endearing flapper to sleek sophisticate to mink-clad career woman to garish accused axe murderess, evolving with the times. She was alluring and glamorous, yet strong and assertive, an underdog and woman in a man's world fighting for her chance to make good (which was her real story). Her toughness (which was actually only apparent in a small percentage of her latter-day films) was offset by vulnerability, charm and élan. Her face was both angular and delicately sculptured, her eyes wide and dreamy and expressive. She carried herself with unparalleled panache, a star from head to toe. Having succeeded with lots of hard work and determination, she remained eternally grateful to and generous with her fans. Crawford was truly one of the greats, complex and fierce, fragile and shy. She embodied what I love most about classic films and continues to inspire me.